Sedation dentistry is quickly growing as a demand among dental patients due to the various benefits sedation offers. While there is some debate about the use of sedation, as your dentist in Grande Prairie, we are here to tell you that sedation is safe and effective when administered by a highly trained and qualified team, like Access Dental. We offer various types of sedation to help with several situations. No matter if you are fearful of the dentist or need an invasive procedure, we can help you as a sedation dentist in Grande Prairie. Sedation dentistry involves the use of a medication in a controlled situation to enhance patient comfort. Contrary to popular belief, you are not actually put to sleep while using sedation. Instead, you reach the highest level of relaxation so your dental fears fade away. You will feel no pain or discomfort, and you may not even remember the procedure. We can use sedation to help with several situations. If you are one of the 15% of Americans who are fearful of the dentist, you can overcome your fears with sedation. Often, sedation is used for those who need invasive or multiple procedures. With the use of sedation, the dentist can quickly provide the treatment needed while ensuring you are comfortable. In some cases, sedation can be used for those with unique situations, such as those who have strong gag reflexes or cannot stay in one position for too long. All-in-all, sedation makes going to the dentist easier and more comfortable. Nitrous Oxide: Nitrous oxide is better known as laughing gas. The sedation medication is delivered in gas form through a mask that is placed over the nose and mouth, allowing it to be inhaled. You will feel extremely relaxed, yet remain able to respond to ques from the dentist. After the mask is removed, the effects of the medication will dissipate quickly. Oral Sedation: Oral sedation is a prescription medication that is taken prior to the procedure. The medication is highly effective while remaining safe. You will feel fully relaxed while under the effects of the medication. After your procedure is complete, the medication will wear off within a few hours. IV Sedation: IV sedation delivers the medication intravenously, giving us a greater ability to control how much medication is delivered. You will lose a bit of consciousness, but not fully. You will feel as though you have fallen asleep. The effects of the medication dissipate shortly after the procedure so you can resume normal activities quickly. If you are interested in sedation dentistry, you will need to make arrangements to have someone drive you to and from your appointment. 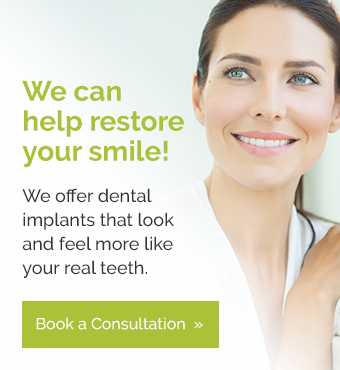 During your consultation, we will discuss any additional preparation and what you can expect after the appointment. If you are ready to enjoy visiting the dentist, contact Access Dental to see how sedation dentistry can help you.